Here are the top 16 Myths about impaired driving in Canada. Myth: If I only have one drink an hour I will be okay. Fact: The average 150 lbs male only burns off one standard drink about every two hours. Myth: Coffee, a cold shower, a large meal or other home remedies will help. Fact: Only time will allow your body to burn off the alcohol. Myth: Different drinks or mixing different kinds of drinks changes the effect. Fact: Standard size drinks i.e., 12 oz. of 5% beer, 5 oz. of 12% wine, or 1.5 oz. of 40% liquor, all contribute the same to Blood Alcohol Concentration (BAC). Any effects caused by drinking different kinds of drinks e.g., lightheadedness from champagne, are psychological and do not affect your blood alcohol content. Myth: Being charged with “over 80” and “impaired” is the same thing. Fact: These are two separate charges under the Criminal Code. While you cannot be convicted of both arising out of the same incident, they are different. “Over 80” is the amount of alcohol in your blood while “impaired” deals with the effects of alcohol on you. A good way to think of it is that an experienced drinker may have a number of drinks and end up with a blood alcohol content that exceeds 80 mgs of alcohol in 100 ml of blood, but his or her behaviour is not changed and thus is not impaired. The flip side would be a “rookie drinker” who has two drinks. This person’s blood alcohol content would not exceed 80 mgs but the alcohol hits him or her hard; he or she begins to have problems with coordination and his or her ability to operate a motor vehicle may be impaired. Myth: All people react the same way to alcohol. Fact: As illustrated above different people are affected differently by alcohol. Factors such as drinking experience and age affect how alcohol impacts their abilities in impaired cases while factors such as weight and gender affect the quantities of alcohol in a person’s blood in over 80 cases. Myth: Hypoventilation (holding your breath) or hyperventilation (breathing really hard) affects the readings. Fact: The only factor that will lower your reading on the Intoxilyzer, is giving your body time to burn off the alcohol. Hypoventilation and hyperventilation only make you dizzy and appear drunk. Myth: It is better to refuse to give a breath sample. Fact: Refusing to provide a sample either at the road side or at the station is a separate and additional offence. 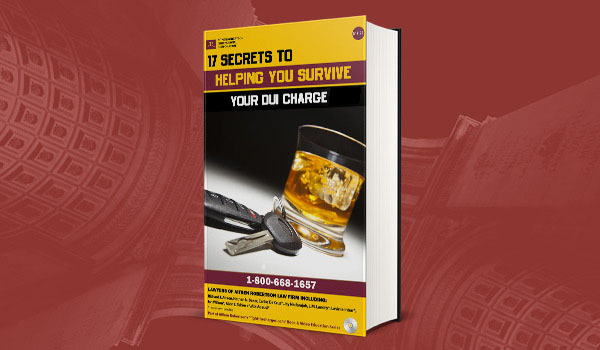 You may be charged with the refusal in addition to impaired driving in Canada and end up with another separate charge that you have to fight and possible additional penalties. Myth: I must be okay to drive when I wake up in the morning and do not feel drunk. Fact: Alcohol stays in your system regardless of whether you sleep or remain awake. While the time you were sleeping does affect how much your body burns off, and you may wake up in the morning not feeling impaired, you may still have a BAC that is over 80. Remember that it takes about two hours to burn off each drink, so a person who has 10 standard sized drinks, normally needs about 20 hours to get back to a zero BAC. Myth: My car keys weren’t in the ignition so I can’t be charged. Fact: The law says that you can be charged if you are in care and control. You are presumed to be in care and control if you are in the driver’s seat. Even if you aren’t in the driver’s seat the Crown Attorney can still prove that you were in care and control through other factors. Some people have been found guilty while changing a tire, filling the car up with gas or even phoning a tow. Myth: If I’m convicted I can still keep my licence to drive for work. Fact: If you are convicted of over 80, impaired driving in Canada, refusing a sample, failing to stop at an accident, failing to stop for police, dangerous driving, manslaughter or criminal negligence involving a vehicle, the Ministry of Transportation of Ontario (MTO) will suspend your licence for at least one year and even more for subsequent offences. The MTO will also require that you install the Interlock device (basically a breathalyzer in your car) for a time after you do get your licence back, if you are convicted of impaired driving in Canada, over 80 or refusal to provide a breath sample. The criminal court may suspend your licence for a time as well. The only way you will be able to continue driving for any reason is if you have the charge reduced to “careless driving” or a similar charge. Myth: The officer has to give you a roadside test. Fact: If the officer believes you to be obviously impaired, he or she does not need to give you a roadside test but can arrest you and take you directly to the station to provide a test. Even if they do not get tests at the station, you may still be convicted of impaired driving in Canada given your physical attributes when the police come across you. Without the BAC readings you just cannot be charged with over 80 (because there is no way to prove the amount of alcohol in your blood). Myth: A pardon erases any prior record. Fact: A pardon erases the criminal conviction, however, it does not affect your Ministry of Transportation record and the MTO will suspend your licence based on their records, not your criminal record. Myth: When the judge sentences me, that is the final word on penalty. Fact: While the criminal sentence is important, it is not the end of things. The MTO has a sentencing scheme that is separate from any criminal punishment. The MTO will take your licence for one year on a first conviction, three years on a second conviction and for life on a third. There is a chance you can get your licence back after 10 years after a third conviction, but if caught a fourth time there is no chance to ever get it back. Furthermore, you will have to have the Interlock device installed for the same amount of time as the suspension after the suspension is completed. i.e., one year on a first conviction, three years on a second conviction and for the rest of your life on a third conviction if your suspension is for 10 years. A person’s MTO record only rehabilitates after 10 years without a conviction. Strangely, the MTO consequences are often more serious than the criminal Court’s consequences. Myth: Previous convictions from other provinces or the USA don’t count. Fact: Convictions from New York, Michigan or any Canadian province count towards MTO suspensions. Convictions from other provinces also count towards Criminal Code penalties. Myth: The only cost I face is the fine imposed. Fact: The fine imposed is only one cost you face. The loss of your licence, the embarrassment of having the Interlock device installed, the cost of the Interlock device (around $1500/year), the increased insurance rates, having to take the “Back on Track” program and the cost of the program and having a criminal record which can interfere with employment and/or travel, are only some of the costs you face. Some studies have indicated that if you are convicted, the direct financial costs are typically between $20,000 and $30,000. Myth: There is no hope, I may as well plead guilty and throw myself on the mercy of the Court. Fact: Only a lawyer who is experienced in criminal law and the intricacies of these very technical offences and their technical defences can accurately assess your chances. There is hope but you need to speak with someone who is experienced in this area as early as possible. Charged with impaired driving in Canada? Call our lawyers at 1-800-668-1657 or visit one of our offices to get a free 30-min consultation.